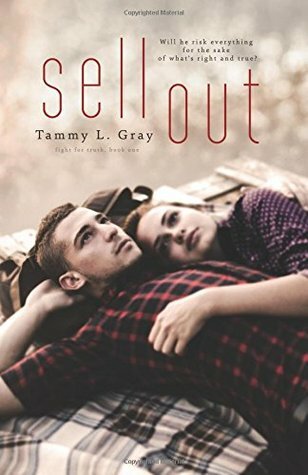 So I’ve had Sell Out for a while, but unfortunately Tammy L Gray books are ones I sort of avoid…not because they are bad, not even a tiny, little bit. Because they are so heart wrenching, and compelling. They inspire me, and make me want to take action, or they convict and call me to repentance. These aren’t bad things. These are very, very good things. I feel they are also kind of her purpose. But it doesn’t mean that they are always easy books to read. What I Loved: I want to take this book and put it into the hands of every single teenager and force them to read it. If not this one, then one like it. Sell Out tackles the growing issue present in schools – bullying. As a parent of three pre-teens who attend public school, it’s a topic I discuss semi-frequently and it’s one very, very close to my heart. I feel like Mrs. Gray really took this story and wove it to make it so real and believable, and still spoke a message to the readers. The message being – take action. Do not let it continue. I cannot get behind this stance enough. If we allow people to be bullies, if we allow people to be bullied, it will do nothing but grow out of control. But the issue aside, the story itself was beautiful. I so enjoyed watching Cody grow as an individual, I felt his struggles and understood his reactions. I loved Skylar, and, gosh, she was written to be such a wonderful, down to earth individual, especially for being a rock-star’s daughter. Not So Much: I cried in my soup at lunch. I’m not kidding. So yes, the book was heart wrenching. And sad in all the appropriate places. But it was necessary for the story. I highly, highly, HIGHLY recommend this book. Give it to your teenagers. I would only hope it would instill some hope, and empower people to talk. It might not work – but who knows…it just might. Damn you Anita!! I don't need more books! !